We have 1 prize package and 2 runner-up sets of Blu-rays to be won! We're celebrating the work of legendary director John Carpenter this week with an amazing giveaway. 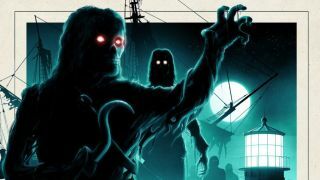 First prize is a bundle of pure Carpenter goodness, including brand new 4K restorations of The Fog and They Live on Blu-ray. Also in the first prize package are The Fog and Escape From New York t-shirts, a vinyl LP of John Carpenter Anthology - Movie Themes 1974-1988, a set of Anthology metal pin badges, an Escape From New York key-ring, an A6 concertina set of postcards and a set of 4 A3 prints - including one signed by Carpenter himself! Two runners up will also get both The Fog and They Live on Blu-ray. Both films are re-released in cinemas now and are also available to own, with Escape From New York coming to cinemas on 22 November, then available to own on 26 November. A reissue of Carpenter's Prince Of Darkness also arrives on Blu-ray on 26 November. Find more info here.